This is my way of keeping you updated on my latest projects, my seminar schedule around the country. Please come in an browse around my site. Drop me an e-mail and let me know what you think and what you would like to see here. The pictures on this page are of projects that I am the most proud of and that have been shown around the country winning many awards. As I finish new pieces, I will be placing them here on the home page for your viewing. Debbe Edwards is a Native American Indian sculptor from Northeast Oklahoma. She is a member of the Cherokee Nation. Animals have always been a big part of her life, from raising wild animals, to training and raising Quarter Horses. She credits her grandfather, with whom she spent a great amount of time, with teaching her respect, patience, love, and deep insight about all animals. Debbe competed in college rodeos while attending Kansas State University, after college, and then with her two daughters through their high school years. Through her art, much attention is given to detail, character, and mood in each piece of art, thus creating very life-like animal sculptures. Each of her sculptures reflects a part of her life. horses as well as her art. 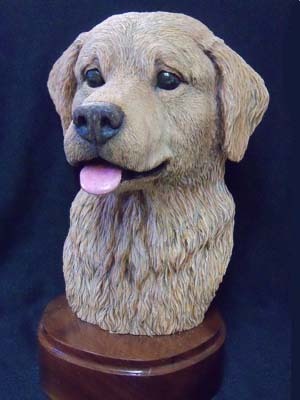 Debbe began carving in wood in 1990, after receiving a small set of woodcarving tools from her husband for Christmas. She became instantly "hooked", and her life started taking on a new challenge. 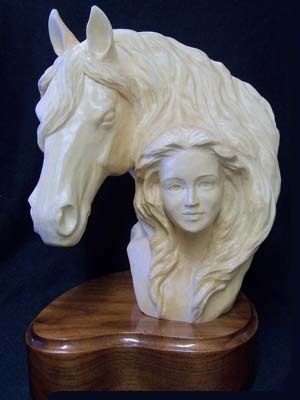 Attending woodcarving shows, Debbe won many Best of Show and Judges Choice Awards with her sculpture. She began teaching seminar classes in 1994, and has taught classes throughout the United States and Canada. 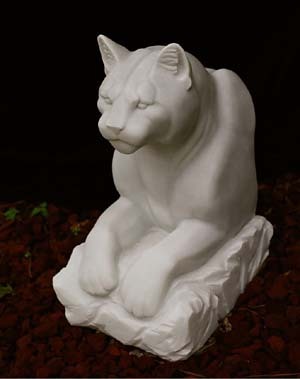 In 1998, Debbe also began sculpting in stone with great enthusiasm, along with producing bronzes from some of her original wood sculptures. 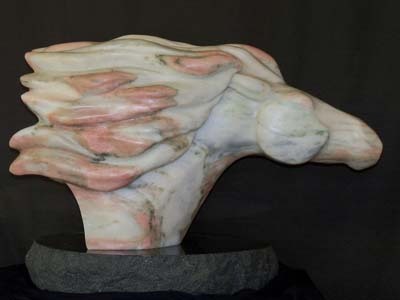 She now focuses on attending Fine Art Shows, and Indian Art Shows with her sculptures and has now won many awards and Best of Shows at these shows.